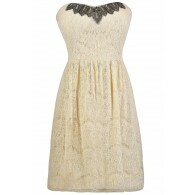 We just *love* this pretty embroidered mesh A-line dress and hope you will too! The I Heart You Embroidered Mesh A-Line Dress is fully lined except at the neckline, which is semi-sheer. The top part is made of mesh fabric with embroidered designs throughout. Miniature rhinestones decorate the bust of this dress, adding a touch of sparkle. The attached skirt is made of mesh and has an A-line cut. The lining underneath is trimmed in embroidered lace and peeks out from underneath. An exposed back zipper completes this dress. The I Heart You Embroidered Mesh A-Line Dress would look nice paired with pumps or heels for any upcoming party or dance. This is the perfect dress to wear for the holidays or to any Valentine's Day event. Details: Fully lined except at neckline. Exposed back zipper. 100% cotton. Contrast: 100% polyester. Lining: 100% polyester. Dry clean only. Small measurements: Length from top of shoulder to hemline: 36". Bust: 32". 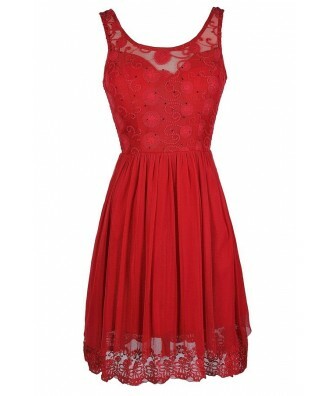 You have added I Heart You Embroidered Mesh A-Line Dress in Red into Wishlist. 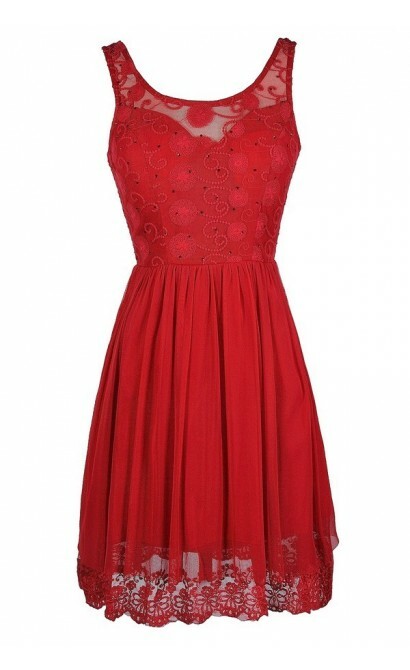 You have added I Heart You Embroidered Mesh A-Line Dress in Red for Stock Notification. 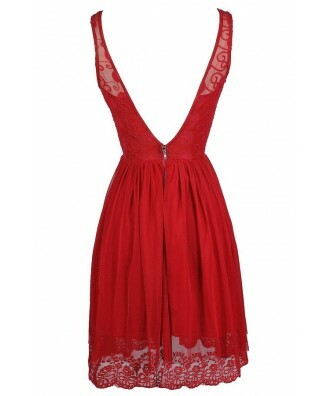 You have set I Heart You Embroidered Mesh A-Line Dress in Red as a loved product. You have removed I Heart You Embroidered Mesh A-Line Dress in Red as a loved product.